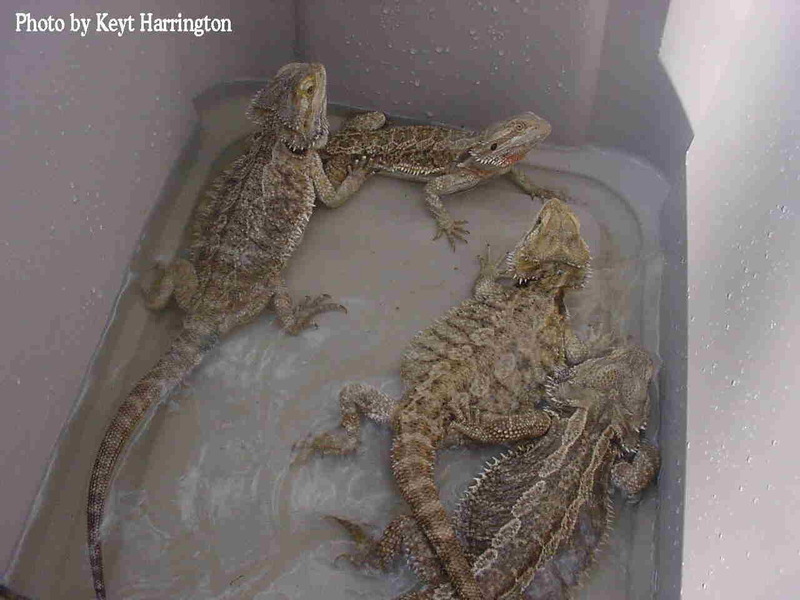 Bearded Dragons are pretty easy to keep as pets, but there are a few things you will need. I advise that you take time to set up your Dragon's new home before purchasing. I didn't do this when I brought Ozzie home, and I'm just lucky he was able to adjust well. First you need a suitable area to keep your Dragon's enclosure. It's best NOT to have it near heat vents or air conditioners because this can alter the overal enclosure temperature as well as bring stress to your dragon. These are 3 of my tank setups indoors. Because I have limited space, and my dragons don't spend much time in the tanks, they are not as big as I would like them to be. This is a home made outdoor enclosure. For something like this, be sure there is a soft landing at the bottom for when the dragons climb then fall. Now you need to find the proper lighting and substrate (the stuff that goes on the bottom of the cage). Because there are so many different light fixtures it can be hard to choose. You can see in the pic above that I have two different light fixtures. The round ones are the less expensive way to go ranging from $15-50 a peice. The long fishtank-type fixture has a regular lightbulb as well as a flouresent bulb. This is a great fixture to have, but it's also expensive. It's highly recommended that your dragon get as much exposure to real sunlight as possible. At least 20 minutes 3-4 times a week is the best. How the inside of your cage is set up will determine how happy your dragon will be. Now, this part depends on how old of a dragon you plan to purchase. If you want a baby dragon 4 months old or younger, I suggest you use papertowels on the bottom of your cage. First of all it's easier to clean, but it also lessens the trouble you might have should your tiny dragon decide to eat the sand and cannot digest it. Once they are older, you can use regular play sand that is used for a child's sandbox. 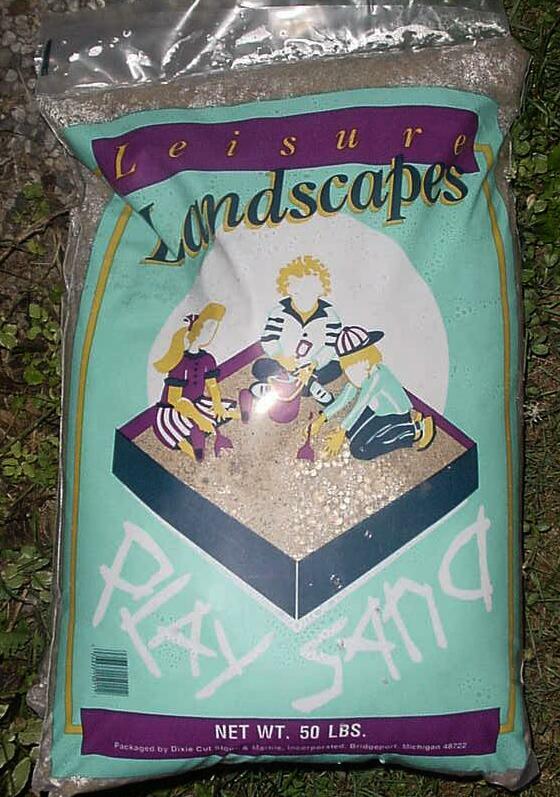 Other substrates used are alfalfa pellets (rabbit food) or lizard litter, but I personally prefer sand. Other things you will want in the cage are basking and hiding areas. Because Bearded Dragons are from the desert of Australia, the love to bask where it's warm, and one way to help them reach the hotter spots of the tank is to have something for them to climb on to be nearer the hot light. In my pic above you can see the branches I've used for this purpose. Now, the dangerous thing can be picking something out of your backyard without making sure it doesn't have bugs that can infect your dragon. Although it is usually safer to use something purchased from a store (but also much more expensive! ), if you plan to use something from your backyard you need to disinfect the wood with a good wash using bleach and water, then baking in the oven at 350 degrees for at least 20 minutes, or placing it in the sun for a good portion of the day. Not only do dragons like to bask in the heat, but they also like to cool off and have a place to hide. 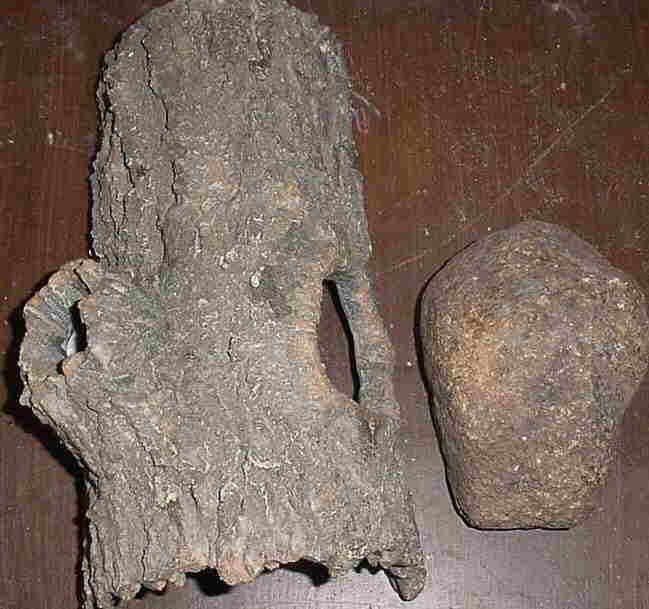 Large rocks can be used for both hot and cold spots. Once again, if you use rocks from your yard, they too need to be disinfected. Hiding spots can be just about anything from a hide log you purchase in a pet store to a plastic container burried in the sand. Do NOT use anything metal because this can hold the heat and possibly cook your dragon to death. This hide log is a great place for smaller dragons. I don't keep it in the tank with my bigger dragons because they could try to climb through the holes and get caught. This is one of the most important part of keeping a dragon. 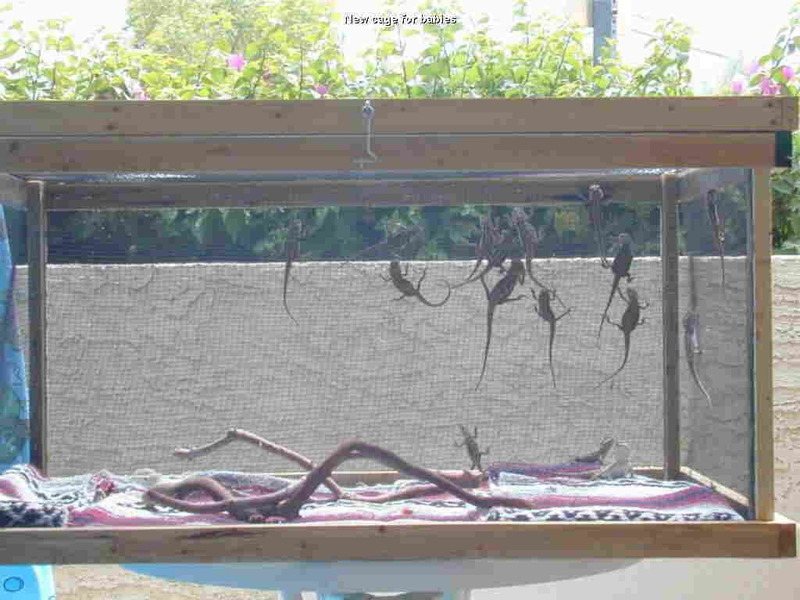 You will find many different pages about what to feed Bearded Dragons, and you will also find many arguments about it too. This page is about MY dragons who have always been happy and healthy, so all I will tell you is what I use and the rest will be up to you and your own opinion. First, I will begin by saying a dragon's diet consists mainly of greens, vegetables, fruit and crickets. That's the natural side of things, however since we are not talking about a wild caught dragon, there are also pellets you can feed them too. 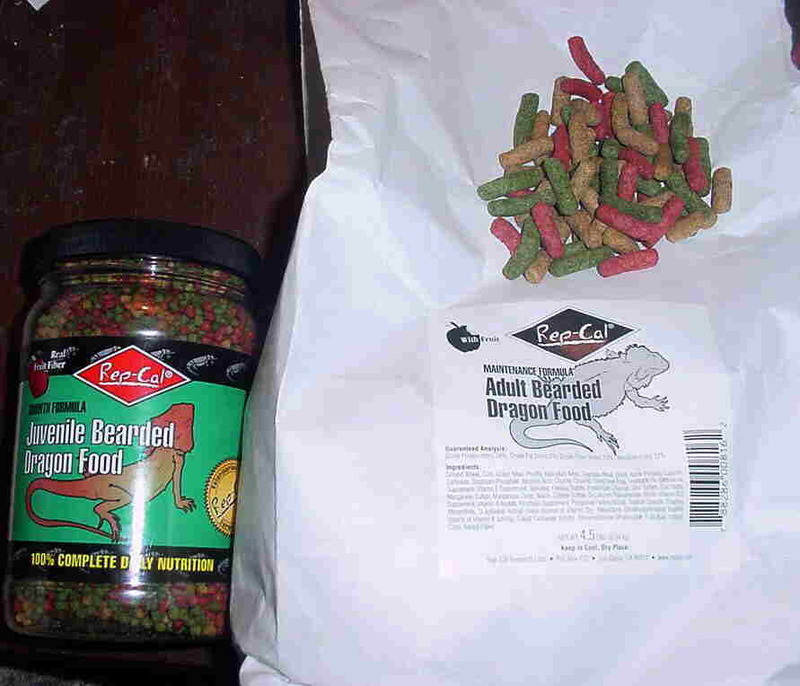 The pellets on the left are for younger dragons up to 6 months or so. Place these on a shallow dish with some water to soften, or in a water dish and the dragons will try to catch them while they are floating. *Water, water and more water! Most dragons love the water. To aid in shedding while they grow, it's best to put them in a shallow tub or bucket of water with the level up to their shoulders. Some older dragons like mine like deeper water and can swim, but please don't place them in a swimming pool because the chlorine is dangerous for their consumption. In the colder months, be sure your dragon is dried off well before placing back into their enclosure. In the warmer weather, I use a large Rubbermaid container with water outside so they can get both their water and the sun. A bath is good for the dragons that won't drink water out of a dish. It's almost guaranteed that once your dragon is placed in a tub of water they will drink, so be sure the water is as clean as can be. Some people even use filtered water instead of tap to be sure the water is clean. Bearded Dragons are probably the most kind, gentle and lovable lizards on the earth. I work for a school district and I often take my dragons to the schools to visit with the kids. Most of the time my dragons are handed from one child to another, over and over, and they rarely mind. 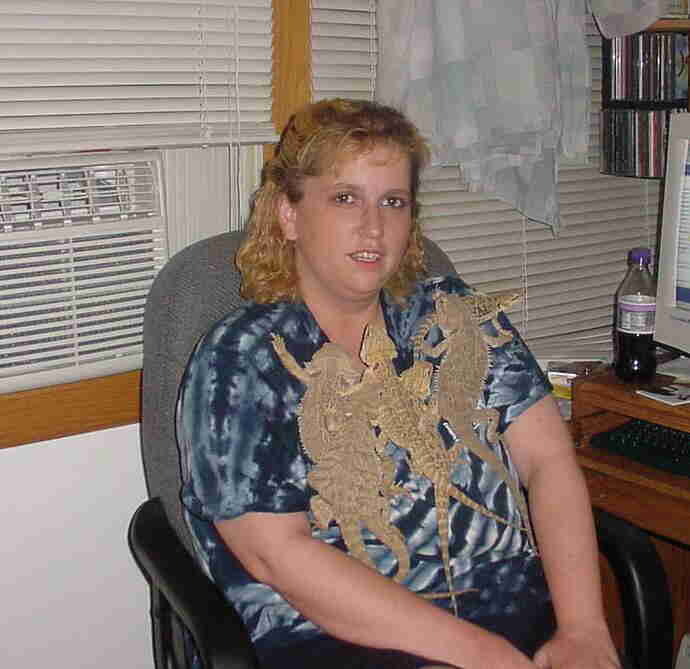 I've also been known to carry dragons on my shoulder into the local pet stores or to parks where they get lots of attention. Many people are afraid of lizards (like my boyfriend! ), but I've also seen those who were afraid of them grow to like them once they hold one. If you have a young child who wants a reptile, I highly recommend a Bearded Dragon, preferably a younger one to begin with. With the proper care and TLC, a dragon can grow up to 2 feet and can live from 7-10 years. I suggest you locate a reptile vet just in case you may need one at some point because most regular vets won't care for lizards. There is a link to a list of reptile vets at the end of this site.